We have two exciting new releases for you today. 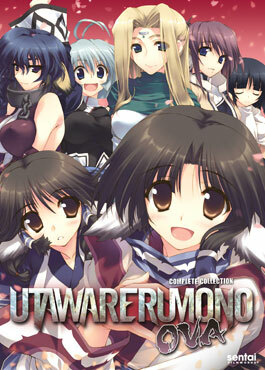 First up, we have the Utawarerumono OVA collection featuring a new English dub and three new stories with Eluluu, Aruruu, Hakuoro, and the others from Tuskuru. Secondly, we have the ultimate "Senpai, notice me!" 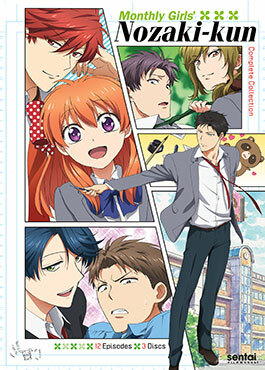 series - the long awaited Monthly Girls' Nozaki-kun! Get your hands on the limited edition Premium Box Set before they run out to get your fill of tanuki, red ribbons, manga artists, and "TOMODAAAAAAAA!" You may have thought the saga of the mysterious masked warrior Hakuoro was over, but the fight for justice and honor never ends. Even in a world filled with sorcery and epic battles, there's always time for a few adventures on the side! Journey back to the world of UTAWARERUMONO and discover three amazing new stories: Can the priestess Urutori find a way to solve the problem of an abandoned infant, or will she end up raising the child herself? Can healer Eluluu resolve a situation that involves youth potions, some unusually well-intentioned kidnappers, and a very unorthodox romance? And finally, learn just how much trouble a couple of girls can get into on a simple afternoon fishing trip. (Because when it involves magic fish, and two of the girls are Touka and Aruruu, the answer is… plenty!) The tales may be a little shorter, but the fantasy is every bit as fantastic as all the characters you love return in UTAWARERUMONO - THE OVA COLLECTION! You know how the story goes: girl crushes on guy, girl confesses feelings to guy, guy mistakes confession for a job application. 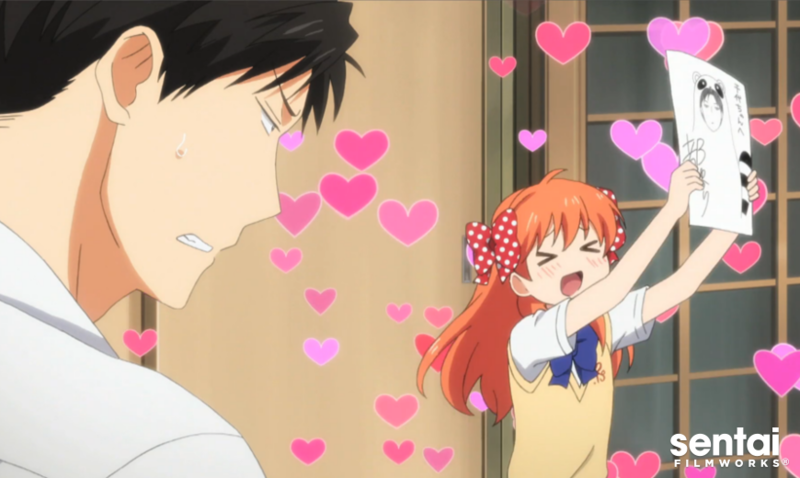 Okay, maybe that's not how it usually goes, but that's what happens when Chiyo Sakura finally gets up the nerve to tell her classroom crush Nozaki how she feels. Since she doesn't know that he's secretly a manga artist who publishes under a female pen name, and he doesn't know that she doesn't know, he misunderstands and offers her a chance to work as his assistant instead of a date! But while it's not flowers and dancing, it is a chance to get closer to him, so Chiyo gamely accepts. And when Nozaki realizes how useful Chiyo can be in figuring out what girls find romantic, he'll be spending even more time with her "researching" while remaining completely clueless. Could Chiyo's romantic frustration possibly get any more drawn out of proportion? The answer will be profusely illustrated in MONTHLY GIRL'S NOZAKI-KUN!